The Other Fish in the Pond is hanging at the National Association of Women Artists’ (N.A.W.A.) Gallery in New York City. Thursday, November 19th, I’ll be attending the reception for new members! 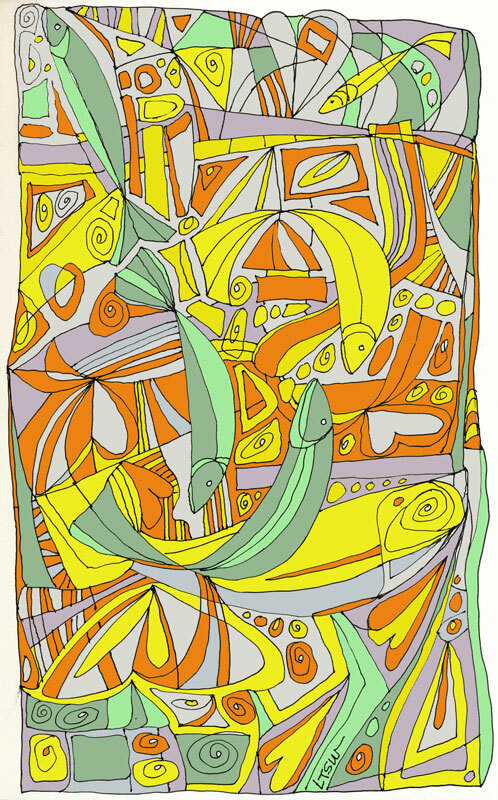 This entry was posted in Uncategorized and tagged abstract, digital color, fish drawing, ink drawing, Linda Kay Thomas, Linda T Snider Ward, Louisiana artist, N.A.W.A. artist. Bookmark the permalink. thanks! It’s been a wonderful experience.